A bit nervous? Don’t be. Our friendly, positive and fun style of teaching will get you moving around the floor with confidence in a very short time. No need to sign up just come along to the first week. Wondering what to expect ? 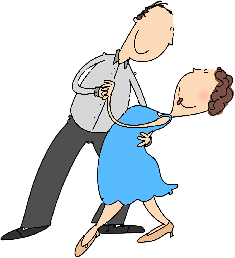 Beginners “Step 1” dance courses are only £6 per person, per class, and you just pay each week. You don’t need to sign up, the classes are open to new attendees for the first two weeks of the session. All of our classes are one FULL hour in length. After the explanation and the walk through you will then dance with your partner. Simple as that. We do not change dance partners during the classes. The vast majority of people who come to our classes and contact us do not like to change partners. If a couple have made the decision to go out, learn something new and spend some time together, they want to do just that. Dance together. You are welcome to come on your own, Everyone welcome Singles or Couples. We are a very friendly group of people & we get many people who attend our classes on their own. (And recently we have had more Men (of all ages) asking where the lady dancers are... ) No one sits on the sidelines. We have a super range of modern music with pitch control so that we can adjust the tempo to suit each classes ability. 10 minutes of another......’ And when you’ done you can’t remember any of any of it. This is wasting your money. 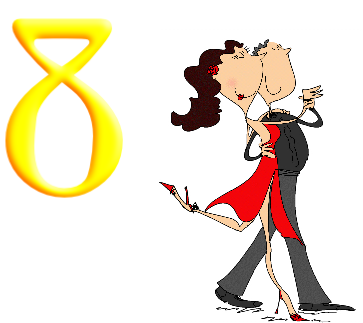 With Dance at 8’s method of teaching you get a very solid routine in just 6 weeks which you will feel confident dancing socially. Trying to figure out what Dance style to choose ? ‘Dance at 8’ gives you the widest variety of dance styles to choose from. Some people think Latin and Argentine Tango are fast and complicated, but they are Not. We make all the dance styles EASY! If you are new to dancing any of our classes that have the word ‘Beginner’ in the title are suitable for you. We rotate all of our different dance styles to our various venues in Worcestershire and Gloucestershire so that everyone has a chance to try all of the styles. Our dance class venues in: Worcester, Droitwich, Malvern, Pershore, & Bredon (near Tewkesbury), are not too far from each other and many people travel to the other venues. Although, if you see a class at a location near you that looks interesting, take it while you can, because we do so many different dance styles it may be a while before it returns to that venue. Wondering what to wear ? Smart casual clothing is fine, something you can move your limbs in easily. Trousers are fine for Ladies. Most people wear smart casual clothing to the classes. For shoes: Something comfortable. Most men and women wear leather soled shoes, which are good. Ladies usually prefer something with a slight heel, which is fine if you are used to them. A shoe with a fairly thin sole and an enclosed toe is best. No Flip flops or very strappy sandals as they don't give you any support and you will spend the whole night trying to keep them on your feet. Do you want to start to dance but feel self conscious? You have to do something you’ve never done.